In the world of advertisement I still see a lot of QR Code being rerouted landing site's or webpages that are developed for desktop use only. 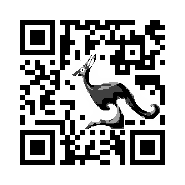 I even thought I could get away with a desktop based website, since I try to promote QR Codes themselves, and not the back-end services behind the QR Codes. Boy was I wrong. On my site I use Google analytic to observe visitor behavior. Last weekend one of my articles was published on www.qrcodepress.com. This site being a bit more popular en better visited than my site or blog generated a nice and wanted spike in the visitors. But not only the visitor count but also the bounce rate increased. The bounce rate being the number of visitors not going past the first page visited. And visitors not going past the first page will not transform in potential clients! With Google analytics I could see that 80% of my (new) visitors were using a mobile device, and the bounce rate of the mobile visitors was close to 100%. Sure, on a modern mobile device you can zoom in on a webpage to make it readable, but that's the same as reading a desktop site with a magnifying glass. Do-able, but very annoying, making visiting the site itself annoying, making the product you promote annoying. I've been reworking my website the last couple of day's to include mobile device support. It is still work in progress, but the current result is already that much better than the default desktop view on a mobile that I made it active. I have two tips for anyone planning to use a QR Code. If your QR Code needs to contain an URL, make sure you have a mobile landing page! If you want to brand you QR Code with a graphic, visit my (mobile) page at www.kangaderoo.nl to see what is graphically possible with QR Codes.